Isn’t it fantastic when proper scientific research suggests that hearty consumption of your favourite foods is healthy? It’s long been accepted that the Mediterranean diet is high on the list of great eating habits, and for me that’s the perfect excuse to spend a bit of time at the stove. I know if you’re not a native it can be a little daunting to explore anything beyond a bolognese in your kitchen, but there are tons of reasons why you should be eating more Med-inspired dishes – and the number 1 reason is that it could help you live longer. I absolutely adore Mediterranean eating and I’m happy to pair with Olympic Holidays today to share some of my favourite recipes from our olive skinned neighbours. All are easy enough to recreate in your home with minimal skill, and most are even quick enough to throw together after work. Who can turn their nose up at healthy, convenient and delicious dishes? These dishes span several countries but there are a few common denominators, ingredient-wise, which are pretty much the bedrock of Med cuisine. Its these things, mostly, that make the diet so healthy – fresh vegetables, beans, greens and fish all feature heavily, meaning its very possible to cook up low-calorie, high-nutrition meals that also taste amazing. Now have you got your apron on and your taste buds ready? ¡Vamanos! 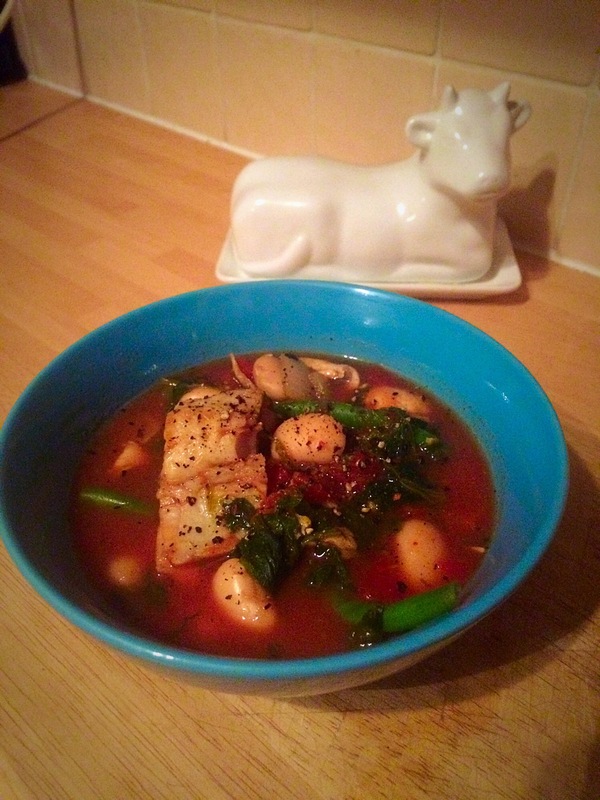 I’m starting super easy with 3 of my favourite meals to throw into the slow cooker. These are great for preparing the night before, and switching on before heading to work. They’re good for making in huge batches and freezing. They’re great for throwing together when you’re feeling under the weather and need something hearty and fluid-rich. A delicious Greek style beef stifado with aromatic cinnamon and tomato compliments the sweet shallots in this rich, tender stew. I have only made this a few times but is absolutely delicious and it always a party favourite. I adapt from this recipe, but after you’ve made it once or twice you’ll have your own ideas on what works. It’s enough on its own but is also served over roast potatoes. Second is the legendary Spanish Stew with smoky chorizo and flavoursome belly pork. Padded out with chickpeas and mushrooms, this fast became one of my favourite dinners after Mr K’s mum introduced it to me. Ideally let this marinate for upwards of 8 hours and serve with lots of bread. This is a super hearty but really healthy option because you can throw almost anything into it and it just works. It can be quite calorific because of the chorizo, but its also very filling. Finally there is another Spanish inspired dish – white fish in saffron and orange spiced stew. Another Slow Cooker favourite, this is best cooked for a couple of hours, no more than 4. With heaps of fibre from the beans and omega-3 from the fish it’s one of the healthiest things that regularly finds its way onto my food rota. I adapt from this recipe but use vegetable stock instead of clam because its hard to find in the UK. Now you’ve mastered the slow cooker its time to up the ante – one of my absolutely favourite simple-but-effective meals is the kofka. Traditionally made with beef or lamb, they are a Turkish/Greek patty served with pitta, yogurt sauce and heaps of salad. Healthful! 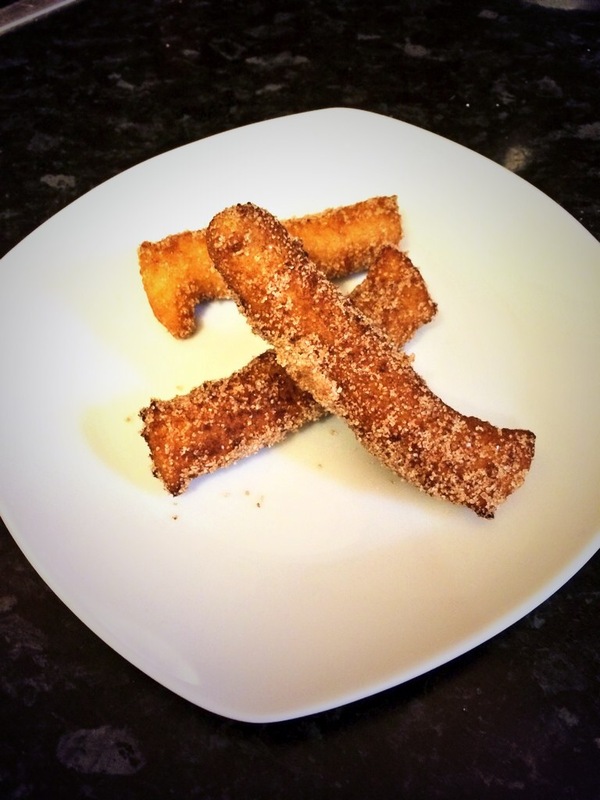 Check out this recipe for easiest way to recreate your own. Somewhere in the same league, a quick meal fix is a seared tuna steak – low in fat, high in important oils – with a warm green salad sprinkled with pine nuts, or like above served with lemon infused couscous, spinach & basil salad and asparagus. I also love pancetta wrapped whitefish with lemon roasted potatoes, or swordfish with fig and feta salad is another quick win. These are my favourite springtime dinners because they’re so light but satisfying, and seem gourmet with very little effort. I’m also a massive fish fan, and eat it way more than anything else. If you’re feeling a little fancier then Med cooking is saturated with shellfish dishes and more fiddly options. I am a huge tapas fan but even I’m not confident enough to attempt things like pulpitos (baby octopus) and I wouldn’t know where to get them even if I was. However on a trip to Rome a few years ago I was served mussels in chilli and garlic linguine which was absolutely divine. I devised my own version of that same recipe here, which is a real winner and only takes around 20 minutes. There are heaps of other dishes I love to cook that are Med inspired – one of my specialties is a seafood risotto with mussels, white fish, scallops and prawns, drizzled with lemon and saffron. Its absolutely divine and a great alternative to its trickier cousin, Paella, which is both delicious and difficult to make. Phew! That’s a lot of main courses to be thinking about – but why feel guilty when they’ve been proven some of the healthiest available? 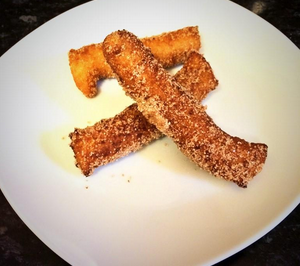 In fact… maybe you should treat yourself to some traditional home made churros for a treat. I hope I’ve whet your whistle and put you in the mood for some amazing med-inspired cooking. This week I’ve revisited some of my old favourite recipes and I’m looking forward to trying out some new ones soon. Do you have a favourite taste of the med?